Belfast’s undefeated Carl ‘The Jackal’ Frampton has relinquished his IBF World super bantamweight belt ahead of his WBA Super World featherweight title challenge of California’s undefeated champion Leo Santa Cruz, on July 30 at the Barclays Center in Brooklyn, New York, USA. 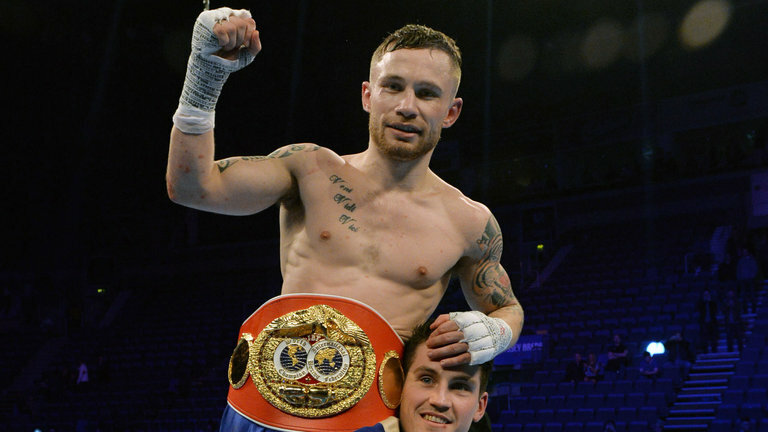 In order for Frampton to pursue two-weight World title glory against Santa Cruz this summer, the Northern Irishman must vacate his coveted IBF super bantamweight crown due to mandatory obligations. The Santa Cruz fight at featherweight made the most financial sense for the hugely popular Frampton but the twenty-nine year old undefeated Belfast native wanted to make clear his gratitude to the International Boxing Federation (IBF) ahead of his World featherweight title challenge.